There’s been an increase in PR companies or freelance individuals working for comic book companies of late. David Hyde and the team of Super Fan Promotions may be the more prominent, but Jeremy Atkins, David Dissanayake and Sphinx PR. Well, there seems to be another to add to the list, according to a pub conversation I found myself in last night. And she’s in the UK. 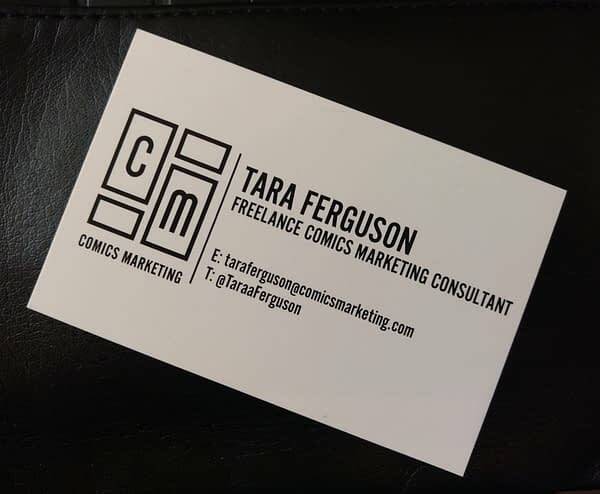 Comics Marketing is being run by Tara Ferguson who I know from both the comic book store Big Bang Comics and as a press person for Titan Comics. Her plan is to work with creators, publishers and retailers to create marketing events, and will be launching the company tomorrow at Portsmouth Comic Con.